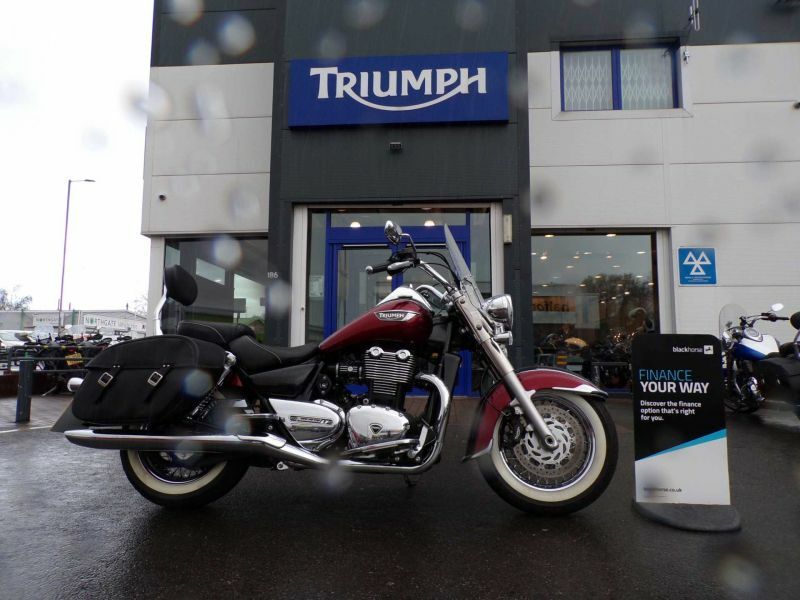 2014 TRIUMPH THUNDERBIRD LT - 2696 MILES IN RED/BLACK - THIS BIKE HAS A SISSY BAR, HEATED GRIPS & A RAM MOUNT ON TOP OF THE ALREADY KITTED OUT LT SPEC! THIS THUNDERBIRD IS IN STUNNING CONDITION AND IS ONE NOT TO BE MISSED! Reserve this bike with a refundable £50.00 deposit (T&C's Apply) Contact our sales team James, Andy or Haydn on 0161 708 2620. 4 Month/4000 Mile Warranty on all used bikes & Lifetime Warranty also available! Please see terms and conditions on our website.